The electrical resistance of some materials such as platinum, copper, and nickel differs at different temperatures. Resistance temperature detectors (RTDs) take advantage of this property to assess temperature in a variety of commercial and industrial applications. The 3 wire RTDs use a third wire to measure and compensate for some of the effects of the resistance of the lead wires on the temperature measurement, especially in cases where the temperature sensor is located far from the temperature transmitter. A 3 wire RTD is more accurate than a basic, 2 wire RTD and is a good fit for most industrial applications. However, 3 wire RTDs do not take into account the factors that may affect the resistance value seen by the sensor, such as those generated by differences in lead wire length, gauge, and composition, oxidization of contacts and lead wire conductors, and differences in the ambient conditions imposed on the lead wires. A 4 wire RTD adds a fourth wire and works as a true bridge circuit. This 4 wire configuration allows constant compensation for any lead wire issue. The 4 wire RTDs are slightly more expensive than 3 wire RTDs, but they are extremely accurate and repeatable—even more than 3 wire RTDs. When Do You Need a 4 Wire RTD? 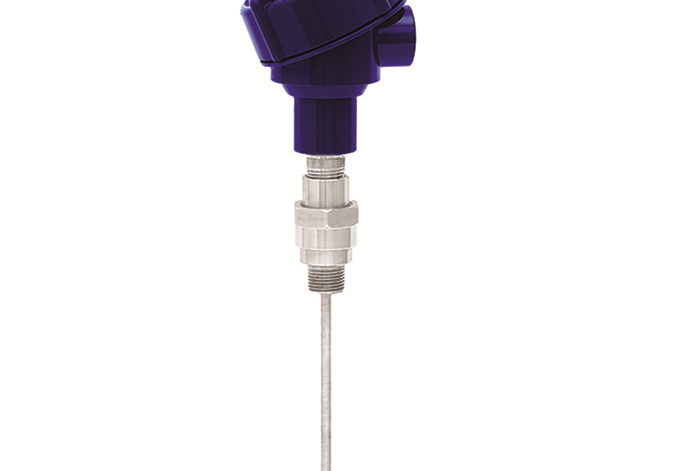 A 4 wire RTD is the sensor of choice for laboratory applications where accuracy, precision, and repeatability are extremely important. Laboratory applications focus on designing, improving, streamlining, and testing safe, repeatable processes that can then be adopted as everyday procedures in industrial and commercial applications. Therefore, lab applications need the best available equipment to ensure the appropriateness, viability, and quality of the processes that will be implemented following the results found in the laboratory. Another area where a 4 wire RTD is the best option is calibration. As in the case of laboratory applications, the compensation for lead wire resistance provided by the bridge circuit of a 4 wire RTD delivers the accuracy, precision and repeatability needed to perform meaningful calibrations. There are many good, affordable 4 wire RTDs in the market. WIKA has been designing and manufacturing RTDs for many years, and is a major supplier of RTDs worldwide. Its RTDs follow DIN EN 60751 standards. WIKA’s 4 wire RTDs can be supplied either with or without a WIKA temperature transmitter, and these 4 wire RTDs are compatible with temperature transmitters offered by other manufacturers. The selection of RTDs manufactured by WIKA offers a variety of choices for laboratory and calibration applications. The 4 wire RTDs of the TR10 series, for example, are versatile and affordable. They can be configured with thermowells or introduced directly into the process. They have ingress protection and come in different wire and sheath materials for applications that involve corrosive and high temperature oxidizing environments. They are intrinsically safe, explosion proof, and suitable for hazardous locations. WIKA can also custom make RTDs for particular applications and provide, for example, 4 wire RTDs with very high resistant to vibration for use in gas compressors bearing assemblies. Call WIKA’s experts today to discuss your requirements and find the best option for your application. I started my career with WIKA in 2004 after finishing my studies in Engineering Design and Drafting. After being the Product Manager for WIKA Canada for several years I transferred to the CoE for ETM covering the Americas region supporting manufacturing and sales with engineered Electrical Temperature Measurement solutions. I focus on special applications for temperature measurement including tubeskin and multipoint products.